School has officially been in session for several weeks now. By now, the excitement of a new semester has probably waned. …students are feeling the strain of tests, projects, assignments, and a busy schedule. …they’ve probably signed up for an extracurricular club, or two…or seven. …they may have started working at an on-campus job (which, if you do it right, is a great way to get paid for doing homework). …the “freshman 15” may have started to collect after all of the free food at the social events around campus. For many, this is when the shift occurs from excitement to anxiety and stress. Everyone can contribute to student success. Remember, student success doesn’t happen in a bubble – it takes a village to raise a young adult. In this nebulous transition between being a young person and becoming an adult, they still need our support. Together, we can empower our young adults to be well-rounded, good people who are ready to take on the world! With some encouragement and direction, they can become global citizens who make a difference wherever they go and whatever they do. Make a schedule for yourself. Buy a planner or use Google Calendar to schedule for classes, studying, and meetings. You can also use an app like myEdu Schedule Planner. While you are excelling at developing your mind, remember that balance is important to keeping your head in the game and not get burnt out. Make it a consistent habit to nourish your body and spirit through exercising, practicing spiritual habits (reading scripture, praying, meditation, attending church), investing into uplifting relationships, having meaningful conversations, hiking, etc. Intentionally put these activities into your schedule. You will need extra help and support sometimes. There’s no shame in reaching out. Seek out people from which you can get the support you need. That’s why they’re there. There are so many resources out there: parents, mentors, school counselors, friends, your National CARP Team, school websites, local pastors, and more. Also, remember the students (and people around the world) that could benefit from your care and concern. Offer your time, money, and service for others. There are plenty of service opportunities on campus and in the community. Don’t let college be all about you. In fact, your experience is enhanced when you give back to others. It gives you a rejuvenating and fresh perspective which builds on your sense of compassion and concern for others. The secret to success is serving others. Empathize with your teenager about what it must be like to be a young person today. Remind them that you care. You may not know the impact that your words can have, but keep saying them. You now have adult children, meaning that they are now responsible to make their own choices. While you can’t choose for them, remember that you aren’t the only one looking after them. Let God work miracles in your child’s life. Trust and believe that God, as their Heavenly Parent, is also guiding them. Also let your kids know you are praying for them. Whether they appreciate it or not, it is a gift you are giving to them. Unconditionally. Young people, your children included, look up to you (whether they admit it or not). 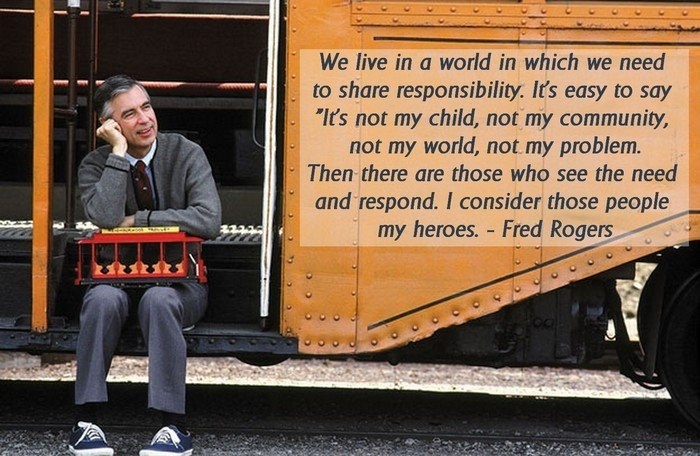 Be a role model. Lead in the direction you would like them to go. Don’t just talk the talk, but walk the walk. Get involved and keep moving. College students are known to have some pretty bad eating habits (ramen, pizza, energy drinks, etc.). Food is love, especially for young people with limited budgets. Once you feed their stomachs, their hearts are much more open to your support, advice, and feedback. It’s amazing how many students feel alone on a crowded campus. Send a package of love to remind them that they are valued and loved. Maybe even include a few snacks or treats they can share with friends. Many students would like to connect with a community or a local church, but there are often many barriers in the way, including transportation. If there is an event coming up, let them know that they are invited and you are willing to bring them there. Also see what else they may need help with. Offer to drive them to a nearby grocery store. Love, in any form, opens our hearts to give and receive more freely. 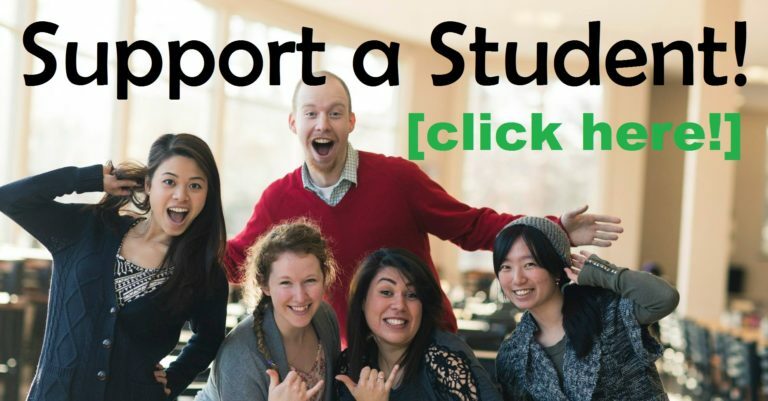 We have a network of people who want to support college students. By contributing in your own unique way through some of the ideas above, you are making a difference. I still remember the people who showed me love and compassion when I felt completely overwhelmed. You can make an impact today that will reap countless benefits in the future. Plant a seed in someone’s heart, even if you don’t know how it’ll bear fruit..
We all are needed to support the young adults who are discovering who they are, what they want to be, and how they want to make their mark on this work. Let us know about a student that needs our support by clicking here. We’ll follow up by sending care packages, offering support, and helping to create a sense of community. There are tons of students out there who are waiting to be connected to something meaningful and real. Whether they are in big cities (like Boston, Massachusetts) or in small towns (like Logan, Utah), in Ivy League schools (like U. Penn) or state schools (like the UCLA), they need us. Give a student the support and love they need to develop into global citizens, people who can offer hope and solutions to this world.